MeasureIt is the perfect webmaster tool for those moments when you really want to know how wide an image is, or how much room you have in a sidebar. I use it almost every day. Just click the ruler button, drag over the element you want to measure, and get its size in pixels, instantly. What could be easier? Evernote Web Clipper for Firefox gives easy access to Evernote, one of the best free things on the web. Evernote’s tagline is “Remember Everything”, and it sure helps! The Firefox plugin is just to make access to Evernote 1-button easy – you’ll also need to create an account at Evernote. Evernote is not just a webmaster tool, it’s an almost-indispensable tool for everyone, except perhaps those with a perfect memory. Lists… like a list of my favorite webmaster tools! You can tag what you store in Evernote – and since my tags are the words I think of related to a topic, it’s easy to find the information again. And best of all, your Evernote data is stored in the cloud. It’s available on any computer, web-enabled smartphone or tablet. There’s much more to Evernote than I’ve mentioned here – I strongly suggest you go check it out. SearchStatus is a Firefox Extension that displays the Google PageRank, Alexa rank, and much more for any webpage you visit. It installs in the Add-on bar (footer) of Firefox, but can be set to display on any bar in your browser. 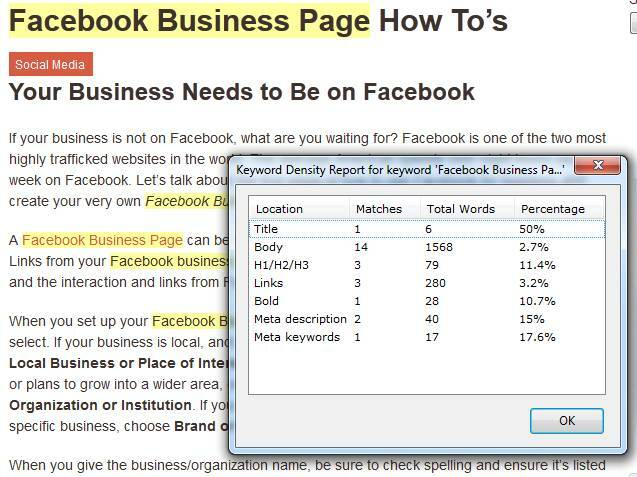 A very useful tool is the fast keyword density analyzer, which lets you enter a keyword and display related stats. This Firefox extension lets you quickly determine the font, font-size, line-height and color for any text element on a webpage. TypeGauge may not be something you use constantly, but when you need it, it’s perfect – fast and simple. 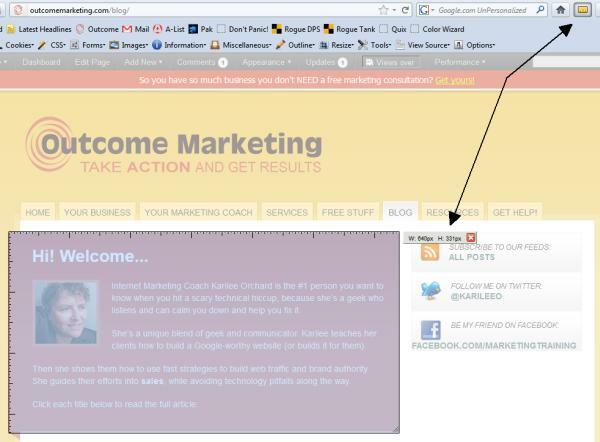 Add it to your collection of webmaster tools and try it out. I hope you’ve enjoyed this tour of my favorite Webmaster Tools that plug right into Firefox. These Firefox extensions have saved me huge amounts of time and frustration – may they do the same for you. Please let me know in the comments if I’ve missed any of your favorite webmaster tools! Thanks for sharing the tools you can use in organizing your WordPress. It can really help them to get creative design. These post is a huge help to a newly blogger like me. Thanks that you’ve shared. I am looking forward for more interesting post. Thanks, I’m going to grab MeasureIt right away! Measureit is really good as we can easily measure our pictures with just a click without wasting a single moment and it is easy to use too.